This post about at home infertility treatments is a partnered post for The Stork and The Motherhood. While I was compensated for my time, all opinions remain my own. I’m no stranger to pregnancy related issues. 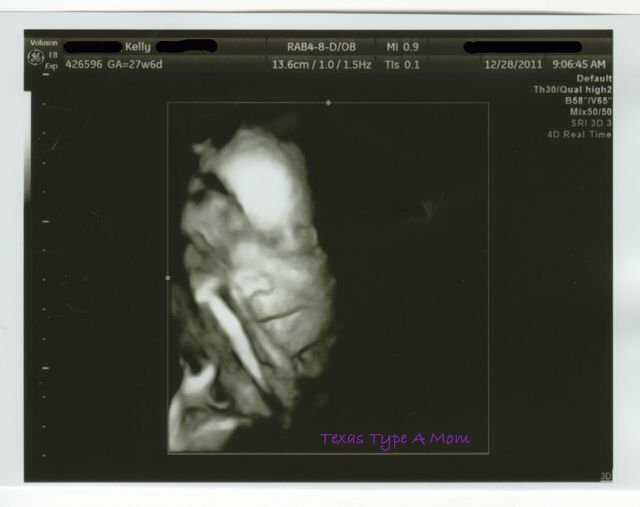 With my first and second pregnancy I got pregnant the first month each time, but with my first I delivered nine weeks prematurely and with my second I miscarried at 12 weeks. I had always heard and read that after a miscarriage you’re more fertile and expected that to be the case with me. But when it came time to try again for baby number two, I didn’t get pregnant the first month. As if that wasn’t troublesome enough for my control freak personality, it didn’t happen the second month either. Or the third. Finally on the fifth month, we got pregnant and it stuck. While I know five months isn’t a very long time to some people, to the person experiencing that longing for a child it can seem like an eternity. Did you know that today approximately 7.3 million couples (1 in 6 couples) in the United States have difficulty conceiving? Several of my girlfriends are dealing with infertility right now. We talk about ovulation, timing, fertility tools – you name it and we’ve probably discussed it. And no matter how much we talk or I try to offer support and suggestions, I end up feeling like there’s nothing I can do to help them out. One of them has tried IUI and is debating going even further and looking into IVF but most fertility treatments are costly and come with risks. Last week I learned of an incredibly revolutionary and inspirational at home infertility treatment. The Stork is a prescription device to aid in natural fertility and conception from the comfort and privacy of your own home. The Stork from what I’ve read and learned at my webinar it sounds like such an easy and non-invasive product to use to increase your odds of conception. 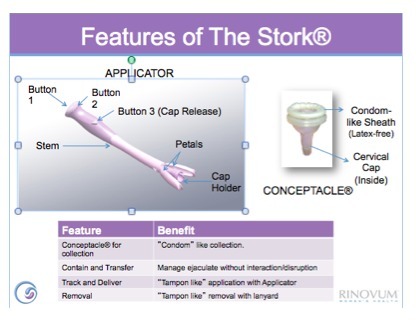 As it was described in the webinar, it’s a condom like collection system and tampon like applicator. Condoms and tampons are two products that most couples are familiar with and designing a system with a similar system makes the experience less daunting and more familiar. Purchasing The Stork is easy and available without a prescription! You can purchase it online here. Follow The Stork to stay updated on all the latest news via Facebook, Twitter, and Vimeo! I got pregnant with my first one on the first try, but it took almost a year to get pregnant with #2. Weird. Hmmm. This is interesting. I would be curious to ask my doctor about it. Anything to get the show on the road!!! Very interesting. It’s like an at home IUI. I’m like you, I had a miscarriage and didn’t have increased fertility at all…but it was my hormones all a mess, so I’m not sure this would help. But, I know plenty of couples that it would help. I’ve never heard of this before! It definitely sounds better than those invasive fertility treatments. The price difference is staggering. Wow, I’m going to have to share this with a friend who has been TTCing for 3 years. Really an interesting concept. We had to resort to IUI to get pregnant after trying for a year. I wonder if this could have helped us? Wow, if that works as well as it says it could be the difference in couples being able to conceive with such a low cost. We were lucky and conceived our very first month, but I had a slightly off cycle and knew that only because I had been temping. If I hadn’t have done that it likely would have been difficult for us. It took me about 4 months to conceive my first, and many months for my second natural born child. I had three miscarriages between my boys, then three more after. Miscarriages and infertility are really hard on a woman so I hope this product can assist couples have the baby of their dreams. On a side note, I had my first IVF appointment a few days I learned I was pregnant with Cullen–my 6 year old! Glad I didn’t need to go that route. This sounds very interesting and so hopeful for those that are having trouble conceiving. I love that the price of The Stork is so much more affordable than IUI or IVF. Now couples don’t have to be (in as much) debt when they bring home a baby!